Before the days of iPods, a lot of people liked to collect their favorite songs on recordable CDs. Call it a personal opinion of a greatest hits record, but people seemed to enjoy the practice. Truthfully, I miss those days. So I’m bringing the greatest hits list back…at least for search engine optimization trends. Over the past ten years, Google algorithms have taken dramatic turns to say the least. 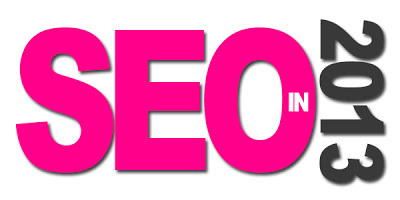 Check out SEO’s greatest hits below. 2003 SEO Makes its Mark: A series of blogs and articles are released this year about the power of Search Engine Optimization. 2004 White Hat SEO Strikes Back: Major search engines sought to curb Black Hat SEO by implementing unrevealed criteria for ranking algorithms. 2005 The Year of Personalization: Seeking to deliver the most relevant content, Google begins to personalize search results for users logged into their accounts. 2006 Local Search is Here: This year, the local search feature on Google became one of the most talk-about shifts in how SEO content is created. 2007 Anti-Paid Links Crusade: Google launched a campaign against paid links. 2008 Bruce Stuns the SEO World: Bruce Clay from Bruce Clay, Inc. predicted that behavior-based search results would be the death of traditional SEO. 2009 We All Get Personalized Results: Google begins to use search history for all users to provide relevant results. 2010 Social Media is King: Because social media had established itself as a permanent fixture, Google implemented its real time search feature that allowed for the most up to date content based on online conversations. 2011 No More Copy Cats: Google announced that it would rank pages based in part on the uniqueness of content. 2012 SEO Manipulation is Dead: Google launched Google Penguin, which punished manipulative SEO in the search rankings. 2013 ??? : I’ll get back to you in December. Here’s my first prediction: Google Plus makes an impact this year, a big one. More and more, small businesses that employ telecommuters use Google Plus as a valuable resource in their daily routines. While it may not be the next Facebook, I think Google Plus will make its mark in 2013. Here’s my second prediction: I think link farm networks will continue to be outed. 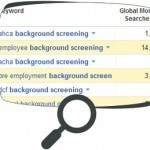 In other words, SEO for 2013 will see a crackdown on “you scratch my back, I’ll scratch yours” link sharing. Who knows what the next ten years will bring, but one thing is clear. We need to shift the focus of our SEO research from tricks to creating content that each searcher will find most valuable. In fact, this may be one trend that’s here to stay.